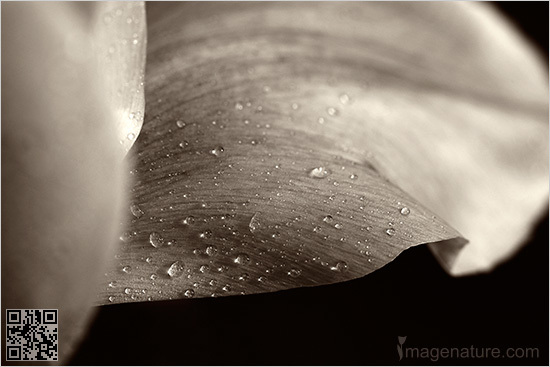 Caption: Photo of tulip flower petal with rain drops in sepia. Monotone sepia image. Nature abstracts. Images of nature.